What happens to your Facebook (and other digital assets) when you die or lose capacity? 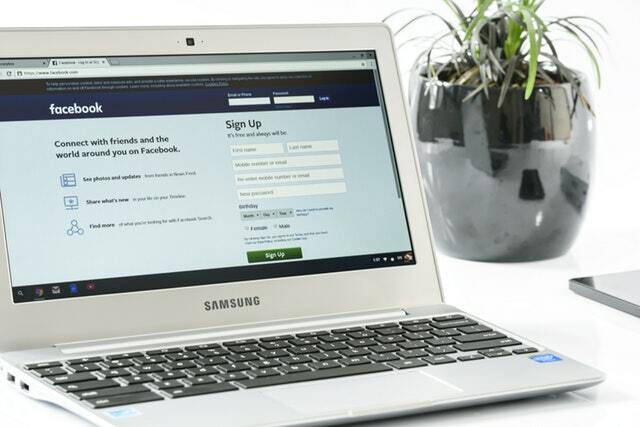 BBC News reported recently that the parents of a 15-year-old girl who was killed by a train in 2012 have only just been authorised by the High Court in Germany to take over her Facebook account. It is incredible that it is only now, after 6 years, that this issue is being resolved for them. There is an irony that in this digital age where so many things happen at the touch of a button, once someone dies, sorting through and dealing with their digital assets can be so much slower than distributing their physical assets. The case is just the latest in a stream of cases where relatives have had to struggle to gain access to the digital assets and accounts of a deceased member of their family. It serves as another poignant reminder about why it is important to be digitally aware when planning for death or incapacity. Most of us now leave a considerable cyber-trail when we die and a substantial digital legacy including photos, music, videos, online accounts such as Facebook, Twitter, Linkedin, online bank accounts and other assets some of which have monetary value (a virtual space station has been sold for $330,000 on the game Project Entropia!) and many of which have huge sentimental value. The question is, what happens to all of these assets when we die or become incapacitated? Who can deal with those assets and where they have a value, cash them in or pass them on? Managing digital assets after death is not necessarily a simple process for those left behind. The process involved in winding up someone’s estate can be long anyway and particularly problematic if there is a lack of information in relation to a deceased’s estate. It can be even harder to manage if the deceased’s estate contains digital assets and he or she has died without anyone having full information on these with no plan made for what happens to them. It has been known to take several months to do something as simple as close an email account where someone dies without a will and no particular instructions have been given in relation to his or her digital assets. A report prepared in February 2015 by the Co-operative’s Funeralcare on ‘Death in the Digital Age’ highlighted that 94% of British adults had online assets but only a quarter of them have plans for these assets after they die. The report also stated that there are now over 30 million UK daily active profiles with four-fifths of adults possessing an email account and three quarters holding an online bank account. There are also now over 500million tweets sent every day! It is clear that consumers are holding a growing number of online accounts, often without written record or even having informed their next of kin. These issues are relevant not only to personal succession planning but also succession planning for businesses, particularly online businesses: who can access what is needed to keep the business going or cash in any value and close accounts? Revenue could be lost without an appropriate succession plan in place. Another potential consequence if the digital estate is not correctly managed is criminal liability for those trying to access parts of the digital estate. Security risks are also an issue if the digital estate is breached. There is currently a lack of consistency by internet service providers (ISP) in how digital assets can be dealt with in the situation where someone becomes incapacitated or dies. The terms and conditions we sign up to may contain provisions relating to what happens to an account on incapacity or death but there is no uniform approach among ISPs. One of the reasons might be that many ISPs are based outside the UK. The elements within a digital estate may involve novel concepts across multiple jurisdictions and be subject to different laws that regulate the ownership of, and access to, those elements. Some progress is being made and several ISPs have brought in specific provisions to deal with death or incapacity. For example, there may be the ability to nominate a legacy contact to have limited access to an account on death, or it may be possible to nominate other family members to share downloaded movies, music etc. and be to carry that on after death. However significant numbers of ISPs still lack any clear policies in this regard. Consideration of provisions for digital estates is now becoming an essential part of planning for your estate on death or incapacity. As a starting point, it is a good idea to make an inventory of your digital assets. This can be used as a basis to make decisions about what is to happen to, or who is to receive the digital estate and in what form and, with the right advice, prepare legal documents that give directions to that effect. It may be as simple as adding a specific clause into your Will or Power of Attorney giving your attorney or executors power to manage your digital assets. Alternatively, a more involved approach with specific instructions may be required. In either case taking a little time to consider your estate, including your digital estate, now can ensure your wishes are honoured and protect your family against any unnecessary upset and potential dispute in the event of your death or incapacity. If you would like any advice relating to Wills, Powers of Attorney and succession planning, including digital succession, please contact a member of the Private Client Team at Blackadders LLP.